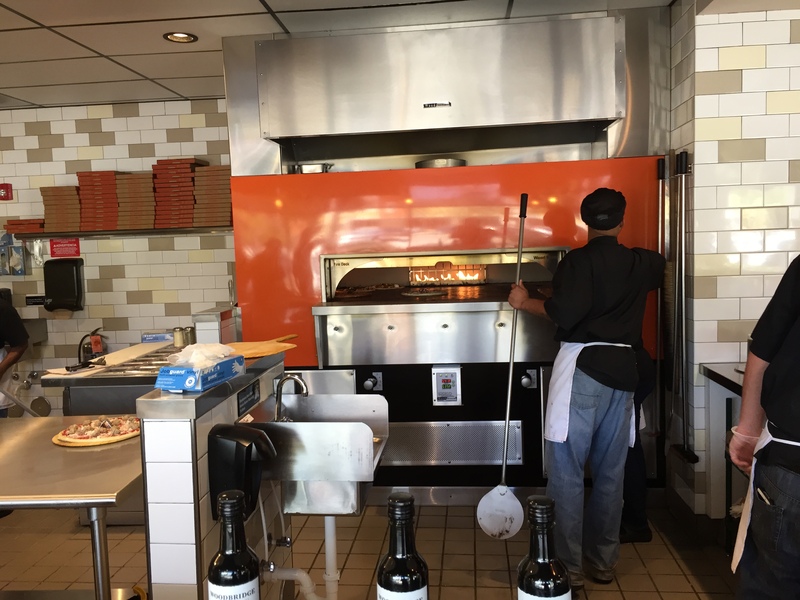 For those of my readers from the west coast of our great nation, you have had places like Blaze Pizza and 800 Degrees for years and are probably wondering why I am first getting around to review it now. Well, we just got our first ones opened in Florida, and I managed to eat at the Blaze Pizza in Boca Raton prior to writing my review from the one I ate at in Las Vegas. So, it just seemed right to try out the more local Blaze and review it instead. I will get to other Blaze Pizza locations to review soon as well, since I recently just ate at the one in Gainesville, FL. 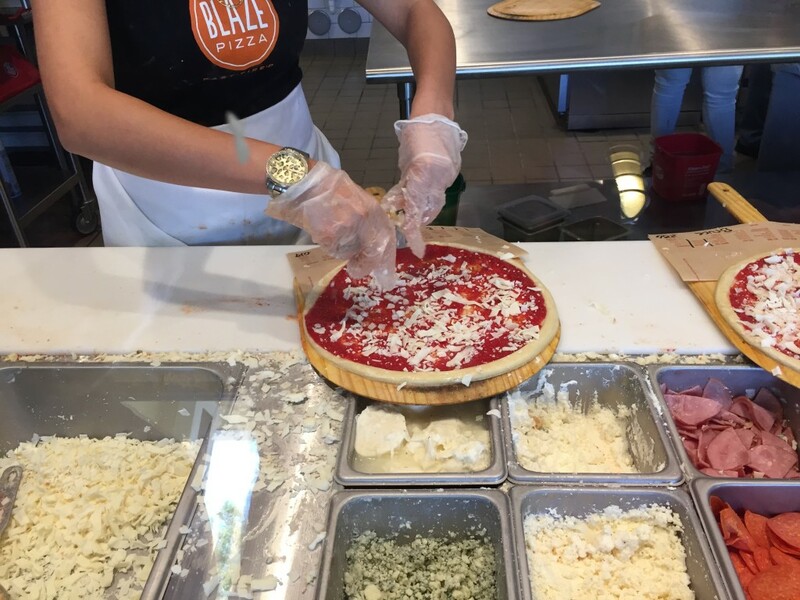 Blaze Pizza is a franchise that is aggressively growing. Just visiting their site will show the locations and how many units you must pledge to open. The concept is simple, and quite similar to Chipotle. Order your dough, pick your sauce, add your toppings, pay, and wait. 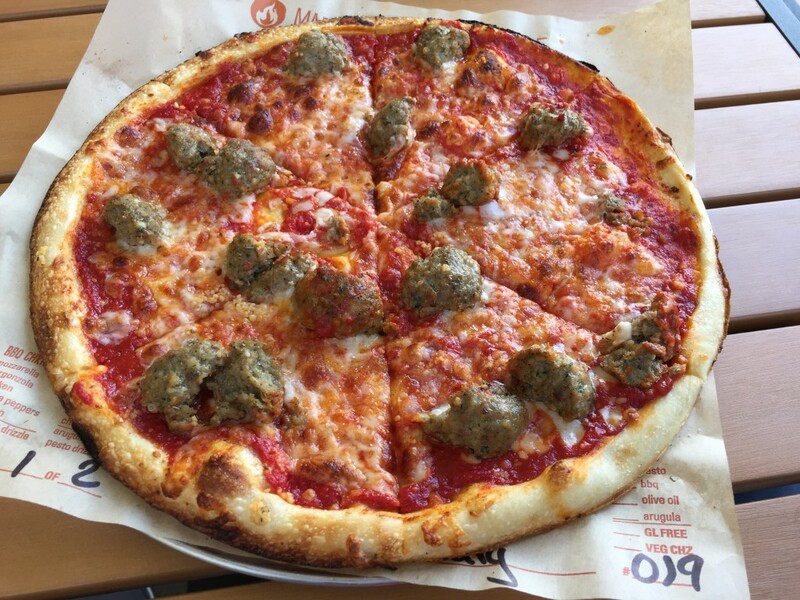 As Blaze Pizza states on their website "Fresh, made-from-scratch dough. Healthful, artisanal ingredients on the assembly line. Inventive to classic. You decide. 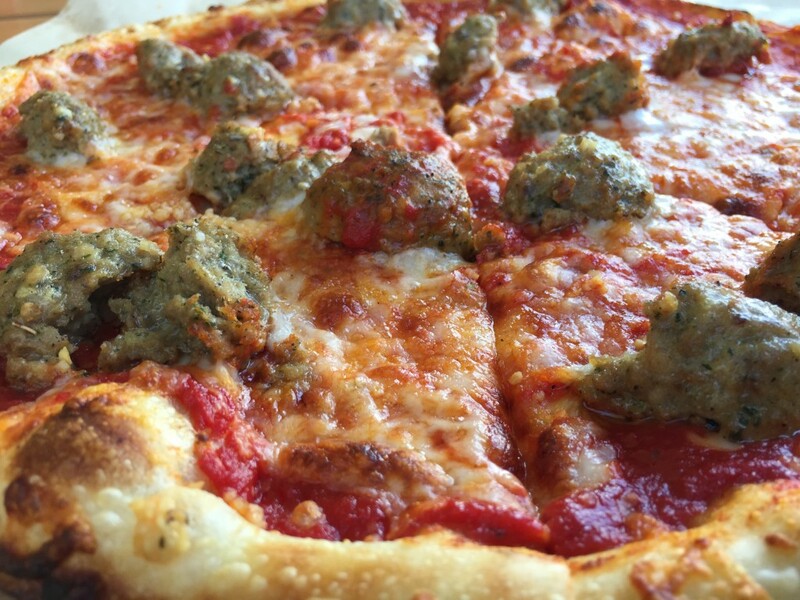 Blazing hot oven + dedicated pizzasmith + 180 seconds = fast-fire’d, perfectly crisp perfection." 180 seconds, well that would have been nice. My pie didn't come out nearly in 180 seconds, but we will get to that in a bit. I chose the regular dough, with the normal sauce. They actually let you chose what kind of sauce you would like, which is a great option for many who might like spicy compared to sweet. After I chose my sauce, they asked me which cheese I wanted. I got shredded mozz of course. Proceeding down the line, they asked me which toppings I would prefer to top my individual pie with. I requested meatball and thought this process was done! But wait, there is more.... I then got to add some garlic and oil as well with some grated parm cheese. After this process was done, I paid and grabbed my cup of soda and my pie was to be placed in the oven to cook for the 3 minutes or so that it should have. We grabbed our soda and sat outside while watching the Boca Raton traffic back up, due to poor flow planning. After a few honks of the horn, I thought that maybe our pies were done and I proceeded inside to ask. Nope, not done yet. Tick tock, tick tock, nope not ready again. Finally our pies came out but certainly not in 180 seconds. Probably wasn't even 360 seconds. I took my pie off the counter, Todd took his and we brought them outside where we could discuss our first impressions. Shockingly, I was impressed with my pie. It smelled great, looked fresh, and was bubbling. As I lifted my first slice from the paper, I was excited to see how well the crust held up even with those heavy meatballs on top. This pizza was cooked almost perfect. My first bite revealed a nice tasting smooth sauce which was layered on top of a thin and tasty crust. The cheese was super hot and tasted good but it would probably be the one thing I would change, well actually the second thing I would change. The first would be to cook the pizza within the 180 seconds. It should also be noted that I am not sure I could have asked for a better quality pie for the price. The pizza I had cost $5.95 and was made fresh, and exactly the way I want it. That will be a hard thing to beat at almost any other place! Blaze Pizza seems to be expanding extremely fast around here, and I always fear that places will become Dominoized if they grow too quickly. I'm sure they are trying to just cash out now while the concept is still a fad, and get as many franchises open (at least in my opinion) but I would suggest they slow down, and create a buzz about each of these places opening instead of them all opening around the same time. 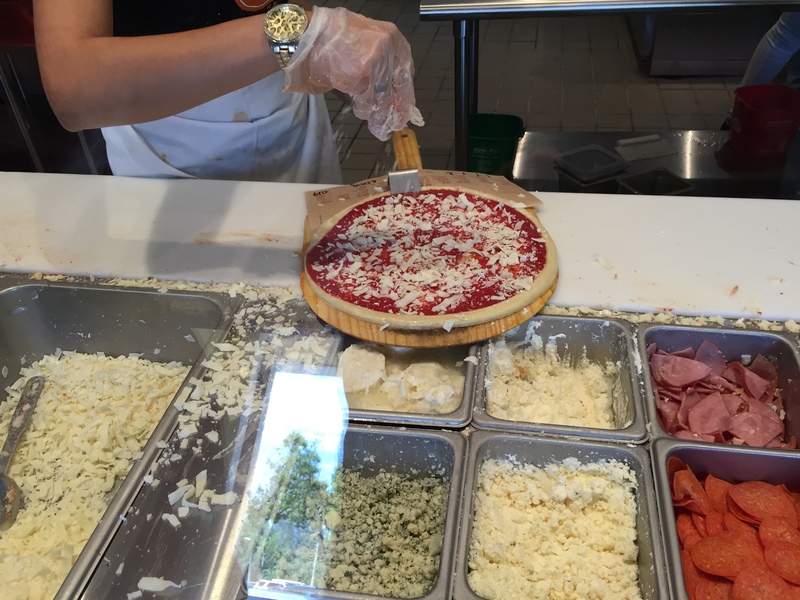 Blaze Pizza in Boca Raton gets 6 out of 8 slices. The price is right, and the taste is right too!